Entangled Mysteries’ is a new body of three-dimensional textile works and drawings by Sally Blake. The works reference author Craig San Roque’s story, The Kore Story / Pesephone’s Dog, and the ancient Greek myth of Demeter and her daughter Persephone. These stories teach us about cyclic patterns of decay and renewal and seasonal changes. This exhibition focuses on the time Persephone spends underground, where she can learn to understand how the world works and how plants grow from below. 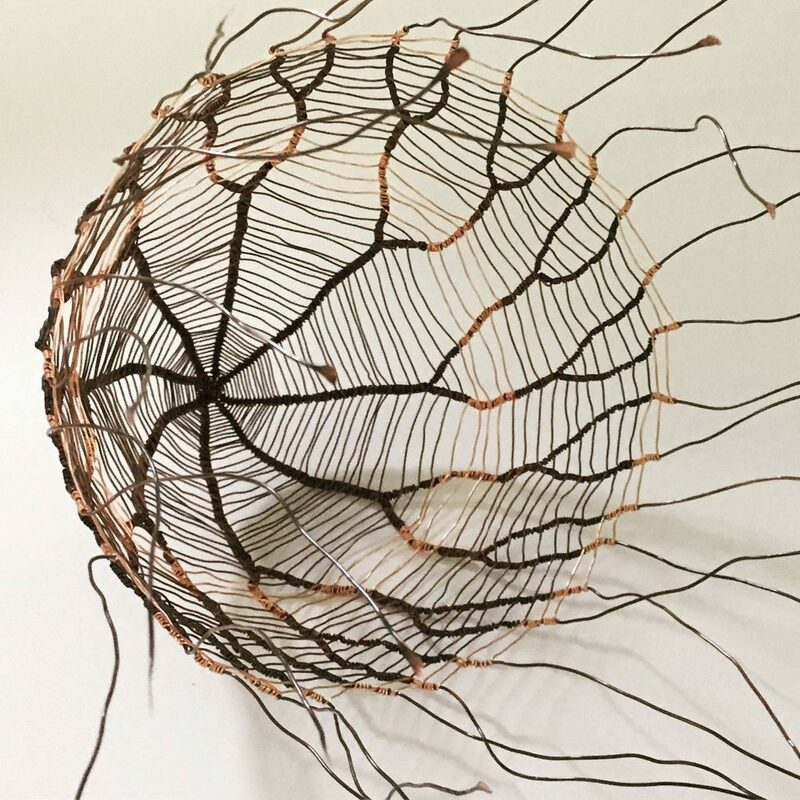 Using contemporary basketry practices and paper-based media, the artist creates an underground world which harbours the potential for renewal and new life in the darkness.